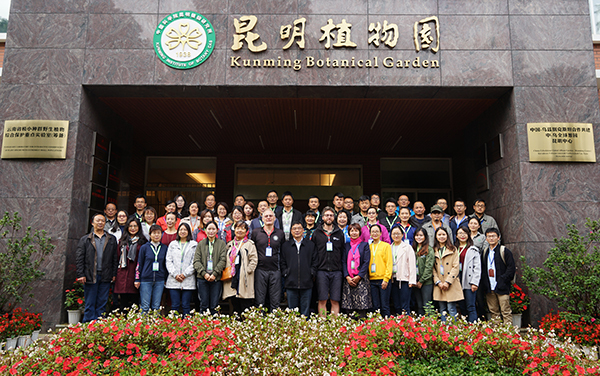 From October 15th to November 2nd, 25 staff from 15 China’s botanical gardens have been attending a horticulture training course at Kunming Botanical Garden and Xishuangbanna Tropical Botanical Garden (XTBG). 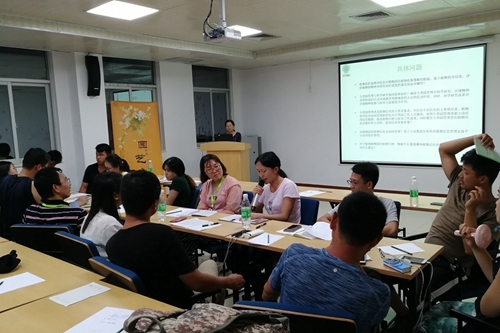 The course is the sixth of its kind which has been arranged by the Chinese Union of Botanic Gardens (CUBG), with the aim of raising horticulture capacity of botanical gardens nationwide. Following tradition of the past years, the course was composed oftheory course in the morning, practice in the afternoon, and discussion in the evening. Mr. Martyn Dickson, senior horticulturist at Royal Botanic Gardens Edinburgh (RBGE), and David Tricker, indoor horticulturist at RBGE, were invited to be key teachers at the training. 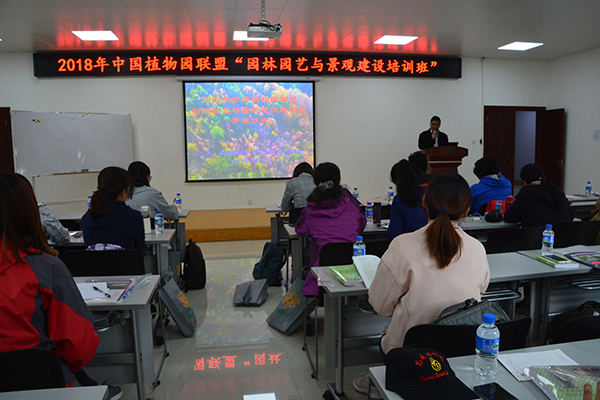 Using facilities of Kunming Botanical Garden and XTBG, the students were introduced to principles and techniques of landscape construction, plant health, aspects of ornamental crop management, as well as practical, hands-on landscape and garden management. 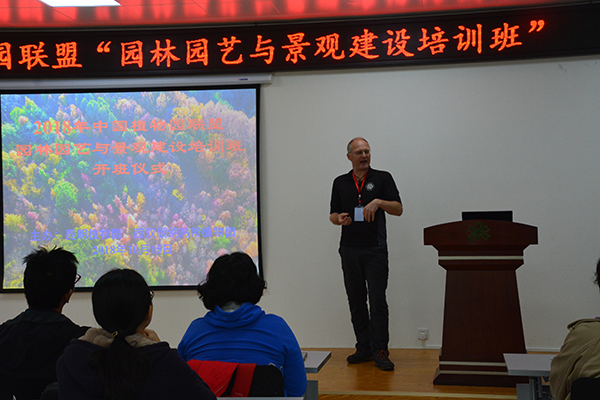 The first part of the course took place in Kunming Botanical Garden, which was a 9-day instruction, including propagation technology – seed propagation and cutting propagation of plant, brush cutting and care of woody plants; landscape arrangement of gardening plant; common plant pests; discovery of new plant species; standard of investigating and collecting germplasm of wild plant species with extremely small populations; etc. A half-day off-site filed trip was also arranged to Dounan Flower market. 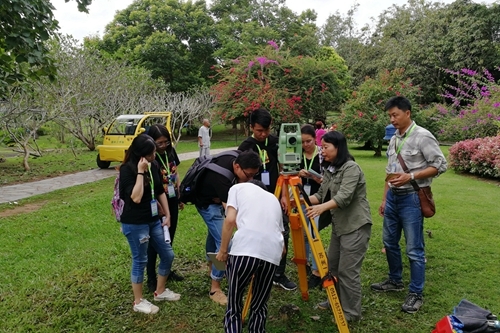 The second part of the course took place in Xishuangbanna Tropical Botanical Garden (XTBG).The hands-on instructions covered such topics as use of horticultural machinery, gardening management, identifial of tropical plants, tropical landscaping, etc. According to the organizer, some outstanding students will have opportunity to study at in Royal Botanical Gardens Edinburgh or some other famous botanical gardens in UK. It’s the sixth course from 2013 on and will be continuously held every year.